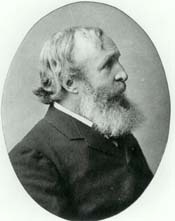 A minister and early social work pioneer, and perhaps the best known representative of nineteenth-century child rescue, Charles Loring Brace was founder of the New York Childrens Aid Society in 1853 and author of The Best Method of Disposing of Our Pauper and Vagrant Children (1859). What was the best method? The orphan trains were Braces answer. Between 1854 and 1930, as many as 200,000 children from New York and other Eastern cities were sent by train to midwestern and western states as well as Canada and Mexico. Brace was an evangelical reformer who wished to remove the children of poor Catholics from crowded urban and family environments and place them in Anglo-Protestant farming families in small towns and rural areas. Brace and his peers considered Catholic parents unworthy almost by definition, but the philosophy of child rescue also emphasized nurture over nature. Malleable and innocent children, if removed early enough from depraved parents, could escape the inferior culture inherent in their homes and communities and become upstanding citizens. Not surprisingly, an ideology that seemed benevolent and humanitarian to many Protestants earned Brace a reputation in Catholic communities as a child-stealer rather than a child-saver. As a result, sectarian groups developed their own social services and child-caring institutions, such as orphanages. In the late nineteenth century, the Catholic church built institutions at a furious pace, a sharp contrast with the trend toward placing-out children. By 1910, there were 322 infant asylums and orphanages serving almost 70,000 children annually.